The super-charged Power Rangers Megaforce action continues with an all-new thrilling adventure, Power Rangers Megaforce: The Great Dragon Spirit, arriving on DVD and Digital HD April 8 from Lionsgate Home Entertainment. The hit Nickelodeon series is action-packed with exciting stories about a group of teenage superheroes who must work together to defend the planet from evil. The latest epic saga follows the Power Rangers Megaforce team as they summon the mighty Dragon Spirit to earn new ultra powers! 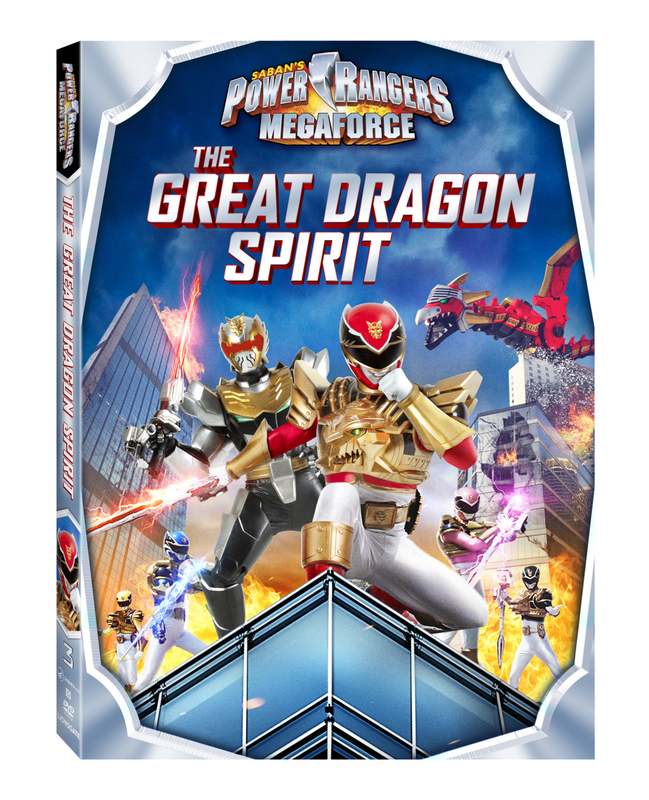 The Power Rangers Megaforce: The Great Dragon Spirit DVD includes four episodes and will be available for the suggested retail price of $14.98. Troy, Noah, Emma, Gia and Jake must convince the mysterious Robo Knight to work alongside them and battle a collection of enemies with evil powers including Psychotick’s energy-draining abilities, Shadow Serpent’s paralyzing touch, Distractor’s giant army of MegaMonsters and Nojoke’s laughter-stealing traps. Then, when an ancient weapon falls into the wrong hands, the Rangers must summon the mighty Dragon Spirit to gain new ULTRA POWERS! Witness the rise and epic transformation of the Megaforce team in these four ultra-exciting episodes!